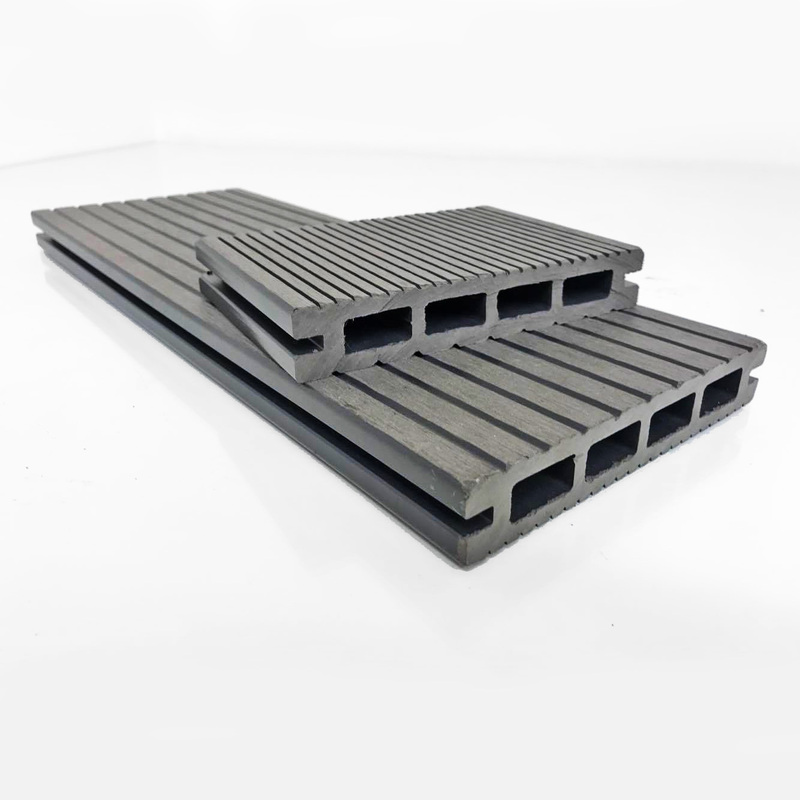 Our 2.9m composite decking – stone (grey) is a low maintenance, long lasting alternative for traditional wooden decking. It uses a honeycomb structure for the perfect balance between rigidity and lightness. The boards are two-sided with narrow grooves on one and medium grooves on the other. Either side can be used. We also have the colour-matched L-Ending Skirts / 90 Degree Trim available. The required amount of fasteners and screws are included completely FREE with your order. Comes with FREE hidden fasteners and Black Phosphate screws.